On a school trip, children learn to be away from familiar environments such as home or school, meeting new people and have the opportunity to make their own decisions in regards to the activities they want to participate in during the day. It’s really difficult to navigate a climbing wall with an iPhone in hand, so at Xplore, there is usually a ‘leave it at home’ mantra. Being away from technology allows children to rediscover the great outdoors, be creative and get lots of fresh air! Activity school trips offer just that, lots of activities – from archery to climbing and bush craft to kayaking, these may be unknown but by trying something new, children can find hobbies and interests outside of the norm! Being on a school trip means that children have the opportunity to make friends with others that they might not otherwise mix with. By participating in different activities throughout the day, these friendships are bonded through shared experiences. Many activities have a problem solving or team-building element to them, so not only are students physically active in an outside environment, they are also cognitively active! When you give children the opportunity to do something on their own, it gives them great empowerment. Daily passports used to record their camp experience are very often used for school show and tells, which gives each child great ownership of their experience. Achieving something new makes children feel good, reinforced by awards for effort and achievement allow a child’s confidence to develop. Outside of activity sessions are periods of unstructured free time for children to play under supervision. This is really important for allowing children to explore their creativity and unleash their imaginations. After bonding through a series of adrenaline inducing activities, it is quite often that children request to come back with their friends during the school holidays to our Day Camps. Some even progress on to stay residentially! 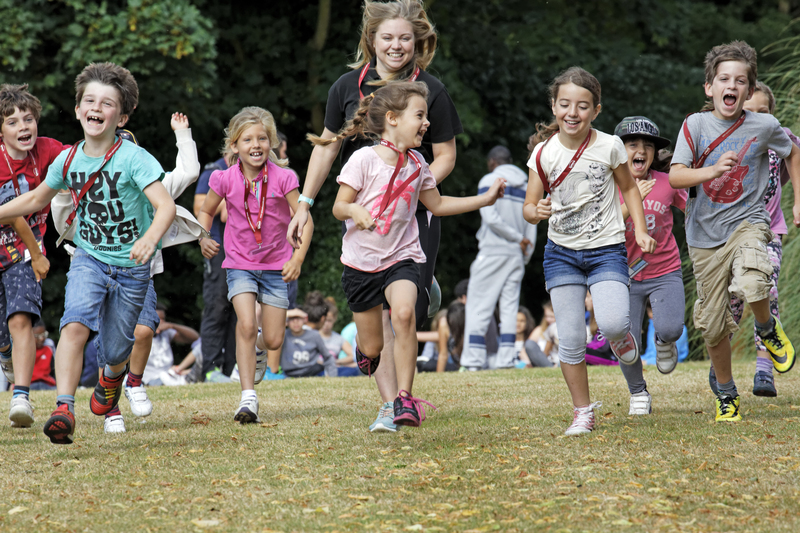 Children sleep well after a day at camp, what’s more, camps fit around a parent’s working day perfectly, with the ability to drop off early and pick up late with lunch included; spending the day at camp takes the stress off! You can find out more about our Residential School trips or School Holiday Day Camps.